New Zealanders have the reputation of being great overseas travellers. However they are also very proud of their own country and have explored its farthest corners, despite the often difficult terrain. 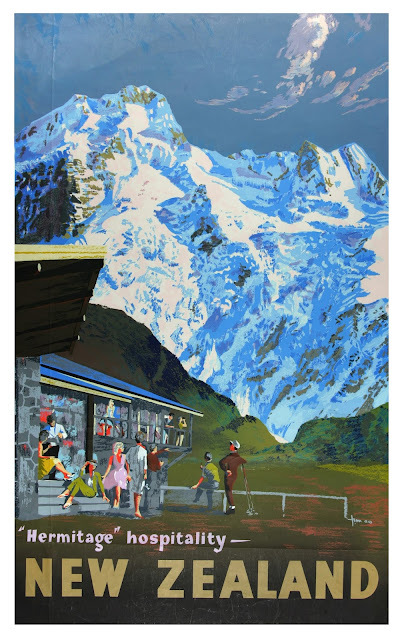 Now open on Level 2 of the Central Library is the latest exhibition from Heritage Collections, exploring the ways in which New Zealanders travelled and holidayed in the past century. The exhibition features original photographs, diaries, maps, posters and oral histories from our collections. The title recalls the slogan of a Tourism department campaign from the 1980s: ‘Don’t leave town until you’ve seen the country’. The advertisement encouraged New Zealanders to explore their own back yard before heading off overseas on their OE. You can watch it online at Ngā Taonga Sound and Vision. On 27 February 2018 Papatoetoe will celebrate the centenary of one of its most iconic buildings, the Papatoetoe Town Hall. A centenary dinner will be held in the hall and stories and photographs from residents and community groups who have used the building over the years will be on display (contact jennya.clark@xtra.co.nz for details). This is the second part of a history of the hall. Read about the early years in The hundred-year-old Papatoetoe Town Hall (part 1). 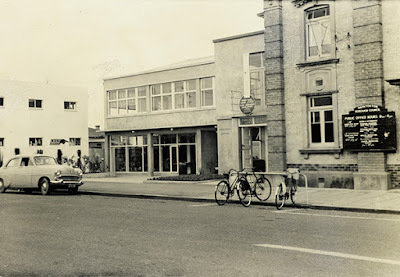 Clifton Firth had a photographic studio in Queen Street, Auckland, from the end of the 1930s to the 1970s. His studio was a stamping ground for people interested in art, literature and politics and his portraits reflect this social group. 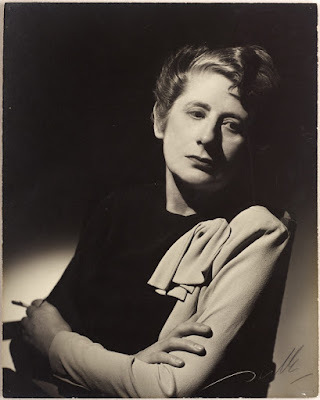 Janis Fairburn notes, in her chapter on Clifton Firth in the book 'Fairburn and friends', that the heyday of Firth's studio was during the turbulent years of World War II when Auckland was "a small but lively intellectual melting pot." Fairburn goes on to state "the studio was unique in doubling as an Auckland mecca of photography and a den of discussion for radical thinkers." Over time Firth photographed many well-known New Zealand writers, artists, dancers, musicians, academics, historians, lawyers, politicians and architects. Our four Research Centres all have New Zealand family history resources, and staff on hand who are able to assist with most of your family history enquiries. At Research Central, we have an international family history collection and I am based there. Last year, we piloted a new initiative called Brick Wall Tuesday, where I got to do 'Book a Librarian' sessions at the other research centres. Each Tuesday, I am at a different research centre. It was very successful, so we decided to continue this initiative again this year. Research North, Takapuna Library - First Tuesday of every month. Phone 09 890 4924 or email Research North to book. Research West, Waitākere Library - Second Tuesday of every month. Phone 09 892 4966 or email Research West to book. 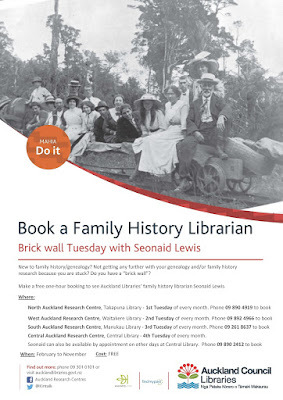 The West Auckland Historical and Genealogy Society hold their branch meeting in this research centre on the same day 10am to 12noon, and everyone is welcome.Research South, Manukau Library - Third Tuesday of every month.